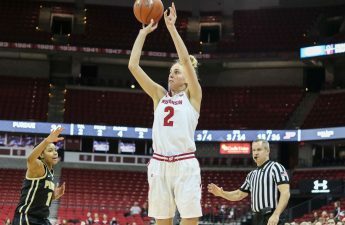 The University of Wisconsin women’s basketball team (11-10, 2-7 Big Ten) returns to the Kohl Center Sunday, just one week removed from Kelly Karlis’ game-winning three-pointer. Unlike their contest with Maryland, this contest seems more evenly matched. The Michigan Wolverines (12-9, 3-6) rank 10th in the Big Ten and hold an abysmal 2-7 record on the road. While the Badgers’ season has featured dramatic ups and downs, one thing has remained constant — or, perhaps, two things. The scoring tandem of Marsha Howard and Imani Lewis has rarely wavered. The two mirror each other in their offensive games, but the comparisons stop there. 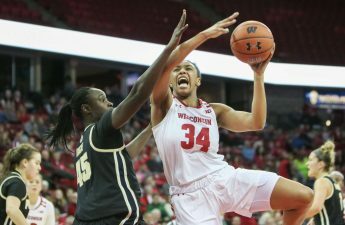 Howard, a senior, has earned her way into the starting lineup and added to her game each year, whereas Lewis breached the starting lineup in her Wisconsin debut. While Howard often chirps at officials, Lewis remains more reserved than her experienced counterpart. As teams like Minnesota and Northwestern bottled her up, Lewis leaned on Howard and her Big Ten experience. The pair is juxtaposed in many areas but succeeds from midrange and crashes the boards with the best the Big Ten can offer. The Wolverines pose some unique threats to the Badgers. 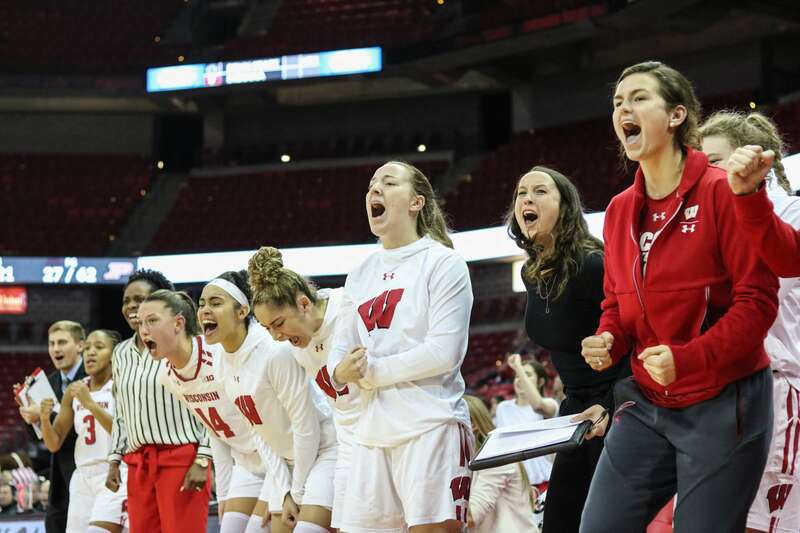 Senior Hallie Thome and freshman Naz Hillmon tower over the Wisconsin starting lineup and could threaten the Badgers’ interior defense. But if the Badgers limit Thome and Hillmon, they can snag another Big Ten victory. Michigan holds the second-lowest three-point percentage in the Big Ten, so Wisconsin can afford to slack off on the outside shooting and focus on limiting Michigan’s inside game. With nine games left in the conference slate, a run could significantly improve the Badgers’ seeding when the Big Ten tournament rolls around. 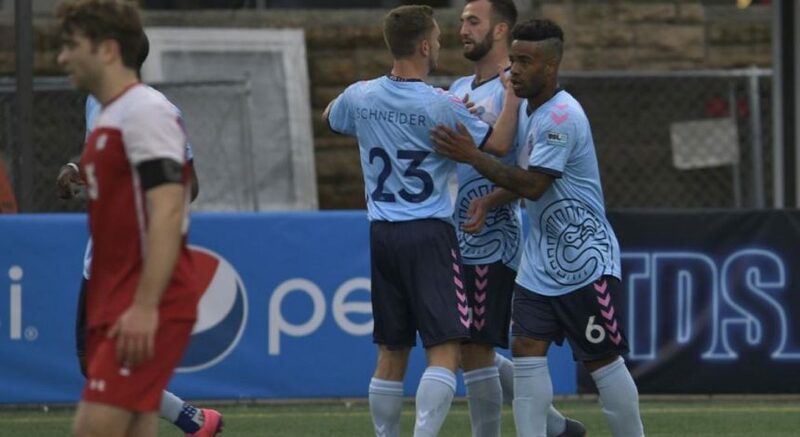 Head Coach Jonathan Tsipis has already surpassed his win total of nine that the Badgers achieved in each of the last two years. With Tsipis at the helm and underclassmen like Lewis and sophomore Niya Beverley, Badger fans can be hopeful this season and beyond. Wisconsin takes on Michigan Sunday afternoon at 2 p.m. The Badgers hope to pack the Kohl Center and deliver a remarkable finish like the Sunday prior. Sunday will be Play4Kay Think Pink day, so fans are encouraged to wear pink in support of breast cancer awareness.